Did you know that most people after age 30-40 can hold up to 2 full cups of toxic mucus, infections, dust, pollen and other substances of city air in their sinus cavity? Did you know that all that dirt is the source of allergies, asthma, colds, difficulty breathing, sinus pains, headaches, ear infections, etc.? All of it causes oxygen deprivation in result of which brain functions, such as clear thinking, are disturbed. Do you want to get rid of this toxicity, pain and discomfort? Would you like to breath freely and enjoy the taste of fresh air? Feel better and breath easier in just 10 minutes! One of the most common health complaints today seems to be "sinuses." Millions of people take all kinds of drugs and other remedies to relieve their symptoms when the solution to their various nasal problems is literally right under their noses. What Problems Does Sinusitis Cause? As many people have found out the hard way, this excess mucus makes it difficult for air to flow through the nostrils. This causes the lungs to work harder which in turn puts a physical strain on the heart. This also creates an oxygen deficiency for the organs of the body, particularly the brain. When people can't breathe through their nostrils they tend to breathe through their mouths. Breathing through our mouths doesn't protect our lungs and bronchus from infections, and it doesn't warm up the air enough. The heating and air conditioning systems we so enjoy - at home and in the car - are efficient mechanisms for the spreading of airborne viruses and bacteria. When these organisms reach mucous-clogged sinuses, they find the perfect environment (and food) for their growth and development. This situation can easily lead to the inflammation of the sinuses. The body certainly does not sustain this waste, so as soon as it is created it begins to decay. As it accumulates in the sinuses it causes problems for the eyes, ears and your brain. The simple act of breathing brings some of these contaminants passed the sinuses, and into the lungs and bronchus creating more mucous there. The side effects of sinusitis can be serious; people who suffer from sinusitis, also experience many other related problems. But the contaminants in the air we breathe are not the only cause of sinus problems. Something much more common, and completely unexpected, can be at the root of a great number of nasal problems. The main cause of sinusitis is found in our diet. Foods such as dairy products, white flour, refined grains, sweets, processed foods, etc. can react badly with our personal chemistries and cause the body to generate excessive amounts of mucous. Unfortunately this excessive mucous ends up in various organs throughout the body, particularly the colon. This kind of mucous is a perfect site for the beginnings of cancer. Can Someone Who Has Sinusitis Be Treated? 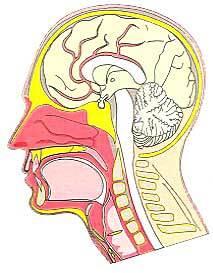 It is almost impossible to cure sinusitis with pharmaceuticals. Symptoms can be alleviated, but that is about it. By themselves, our bodies are not able to completely get rid of the sometimes large amounts of excess mucus that accumulate throughout the body. The good news is that alternative or natural methods work very effectively, and can help not only the sinuses, but the rest of the body as well. The approach outlined below is easier, less expensive, and has no side effects except proper weight loss and improved health. What Should I do To Get Rid Of Sinusitis Problems? The most important first step is to cleanse your large intestine (colon) of wastes that have built up there over the years. This one organ is the largest storehouse of toxic mucus and other toxic substances, and must be cleaned before the rest of this program can be effective. It would be very wise to do Stomach cleansing in conjunction with Sinus cleansing since mucous can accumulate there as well. It is important to remove from your diet the foods that cause your body to produce mucus. In more serious cases, it will be necessary to do cleansing down to the cellular level. This cleansing includes: the cleansing of the small intestine, lymph cleansing and juice fasting. If you go through this program, you will relieve not only your sinusitis problem, but many other disorders and health problems. Cleansing will improve your vision, hearing and mental clarity!